The Franco-British Council, the Franco-British Lawyers’ Society and the Franco-British Connections would like to invite you on 11th of June, at Lancaster House to a day seminar on the impact of Magna Carta and the Déclaration des Droits de l’Homme et du Citoyen on our societies through history. How have these documents shaped the relationship between those who govern and citizens today? Should Europe have more or less power over its member states? Do the domestic political classes need to regain legitimacy? Do religions have a legitimate right to be exempted from the domain of free speech? Are the secular settlements of Europe secure? We are grateful to the French Embassy and the Foreign Office for supporting this event. We’re looking for some volunteers to talk about their research for a possible future Franco-British Network audio project. This is likely to take the form of a short interview with one of us here at [Network HQ], probably over Skype (or some other VOIP software). We’re keen to have people at any stage in their careers, and no preparation is required. The aim is to increase the profile of members and stimulate discussion. Interested parties should email our IT officer, Richard Gough-Thomas at r.goughthomas@gmail.com by April 30th at the latest. Nous cherchons quelques volontaires pour un nouveau projet audio du réseau, probablement sous la forme d’un petit entretien en utilisant le Skype, ou un autre type de logiciel VOIP. Nous cherchons des gens de toutes étapes de leurs carrières, et aucune préparation ne sera nécessaire. Ceci a pour but d’élargir le profil de nos membres, et de créer la discussion. Si vous êtes intéressé, il faut contacter notre officier informatique, Richard Gough-Thomas à r.goughthomas@gmail.com avant le 30 Avril. 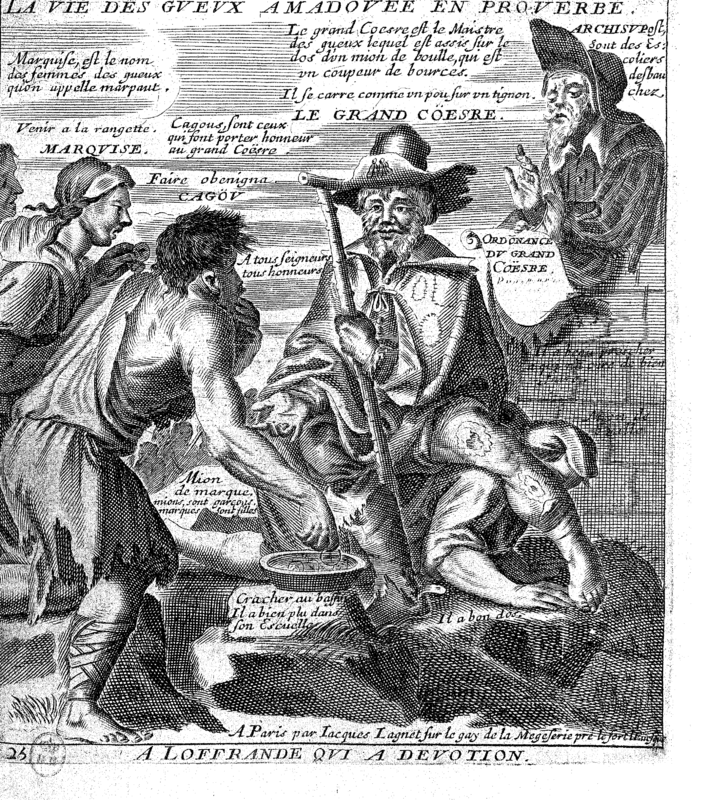 Seventeenth-century Europe witnessed a dramatic increase in social mobility, particularly from the lower into the upper-strata of society. This breakdown of a seemingly impervious barrier between the high and low born caused quite a degree of resentment. Long-standing noble families in many countries found their elite status challenged by people from non-noble backgrounds; these were those who had earned royal favour through their aptitude for warfare, commerce, administration and invention. In Scotland this process occurred through the creation of a nobility of service, particularly in the reign of James VI & I. Under this king opportunities also opened up for some Scots in England, Ireland, and even in the New World through the creation of the baronetcies of Nova Scotia. While opportunities were created within the king’s dominions, many more were opening up for the thousands of educated civilian and military Scots who sought to make their fortune abroad. Among the soldiering class in particular there was a growing belief that birth and lineage were actually worth less than the ‘personal virtue’ they could display on the battlefield. 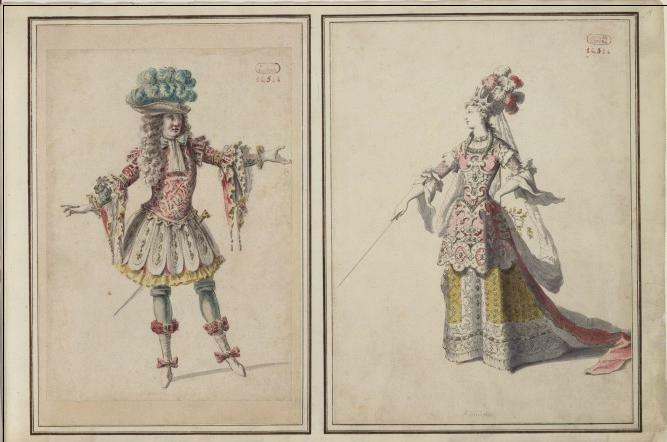 The delineation between higher and lower nobility was seen in France where resistance by the older nobility (noblesse d’épee) to the new nobility of service (noblesse des robes) was strong. 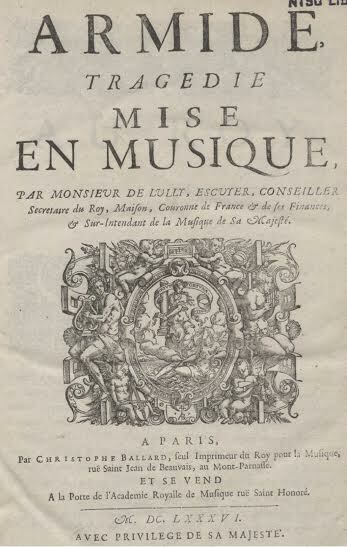 Numerous scholarly works have been written contrasting the perceived nobility of ‘personal virtue’ as opposed to a ‘nobility of lineage’ in early modern France. These studies highlight that by the mid-1600s, some of the virtuous sought to ‘prove’ they were also of noble origin as well. They would do so by claiming to be descendents of immigrants of high birth who had arrived in France from abroad generations previously. In 1666, Jean-Baptiste Colbert introduced a new investigation into “usurpers of the title of nobility” – one in a line of recherches into false claimants of nobility stretching back to the 1540s. The main reason behind this was to return these ‘false nobles’ to the various tax-rolls and thus claim revenue from them. Despite such actions by the French authorities, a number of dubious claims to ancient nobility continued throughout the early modern period. Ironically, no less a figure than Colbert himself has been accused of such genealogical deception. 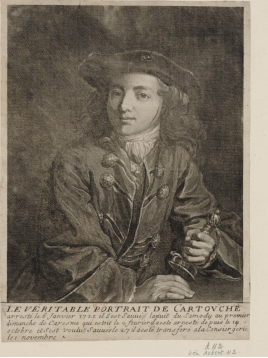 He sent a secretary to Edinburgh in the late 1660s to ascertain the origins and migration patterns of Scots called Colbert (or any similar sounding name), who had travelled to France in the preceding centuries, in the hope of ‘finding’ his Scottish pedigree. In order to understand why Colbert sought a Scottish origin, we must consider that, in France, there was something of a feeling that the Scots too easily claimed to be of noble origins or even claimed a blood relationship to the Stewart ruling dynasty leading to the maxim – Tous les Stuarts ne sont pas cousins du roi d’Ecosse. Jean-Baptiste Colbert’s grandfather had been a merchant in Reims and general controller of the king’s salt stores, but was not a nobleman and only known by the title of “honourable Mr Colbert”. 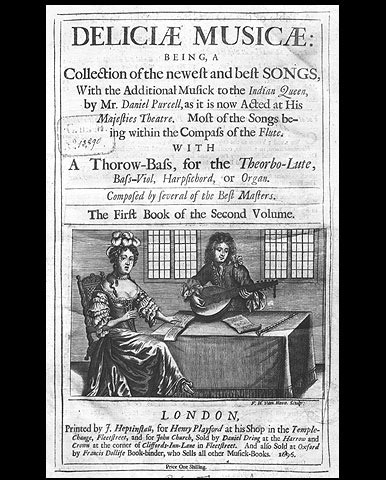 However, there were positions available by the mid-seventeenth century that brought with them a guarantee of ennoblement after a specified period of time and, importantly, for a price. Thus the opportunity for ennoblement came for Jean-Baptiste Colbert on 19 June 1655 when he was offered the post of secretary to the king, which would lead to nobility after 20 years of service and a large injection of cash to the French treasury. 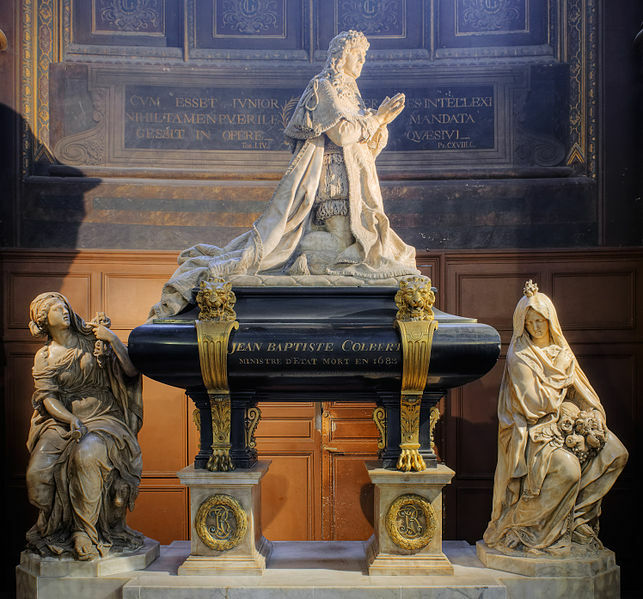 According to some accounts, the Abbot of Choisy reported that in the church of Cordeliers of Reims, Colbert had a headstone removed which bore the epitaph of his grand-father, the merchant, and replaced it with another which was engraved “Here lies the knight Richard Colbert, called the Scotsman …1300. Pray for his soul”. Heraldic symbols were added to the tomb along with the motto “En Ecosse j’eus de berceau, Et Rheins m’donne le tombeau” – “Scotland gave me life, Reims gave me death”. 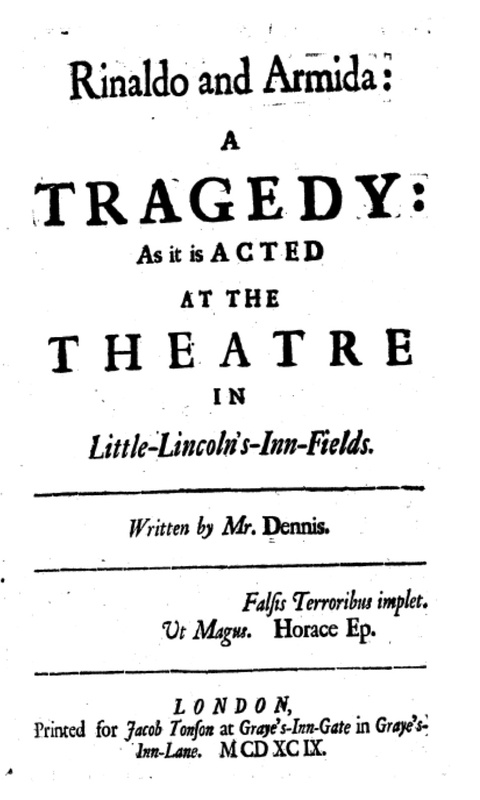 This inscription is frequently reproduced in studies mentioning Colbert, often accepting its authenticity unquestioningly, and leading to the perpetuation of the myth that Colbert himself was keen to promote. After many years of correspondence, on 29 July 1681, a document arrived in France, allegedly confirmed in 1687, stating that the Colbert barons of Castlehill were the common ancestors of the Scottish and French Colberts, leading to a host of genealogies tracing the family back to an Edward Colbert, born in 1284. The story continued that he was of a well-known family in Scotland, and that he travelled to France in the Scottish guard of Louis Hutin before settling and marrying in Reims in 1314. The problem with the 1687 ‘confirmation’ is that it was only signed by some members of the Scottish Colbert family and thus is not official confirmation of anything. It is rather illustrative of the assumed kinship discussed earlier: a wish for the relationship described to be as it was written by the Colberts themselves. Seeking proof of family origin in itself was not necessarily proof of trying to hoodwink the authorities of a new nation into believing the applicant was of noble origin – rather it was so that they could establish their roots and prove they were of ‘good standing’ in the community. However, if they subsequently used their proof in a dubious manner – or if the authorities in France, or elsewhere, misread such genealogies as proof of nobility – then the Scottish authorities can hardly be held responsible. Indeed the reverse seems to be true, and if anything, they seem to have been most rigorous in ensuring that only those with legitimate claims successfully navigated the system. Fraudulent claimants like Colbert, if indeed he ever applied, were rejected at such an early phase in the process that evidence of his attempts still await discovery in the archives. Professor Steve Murdoch is based at St Andrews’ University, learn more about his research here. Bitton, 1969, pp. 77-177; Bohanan, 2001, pp. 7-31; Wood, 2001, pp. 71-95. I would like to thank Professor Christian Civardi for bringing this expression to my attention. Vergé-Franceschi, 2003, p. 410; DBF, IX, pp. 185-189. Kay & Maclean, 1985, p. 74.